Playing on the internet (Um... 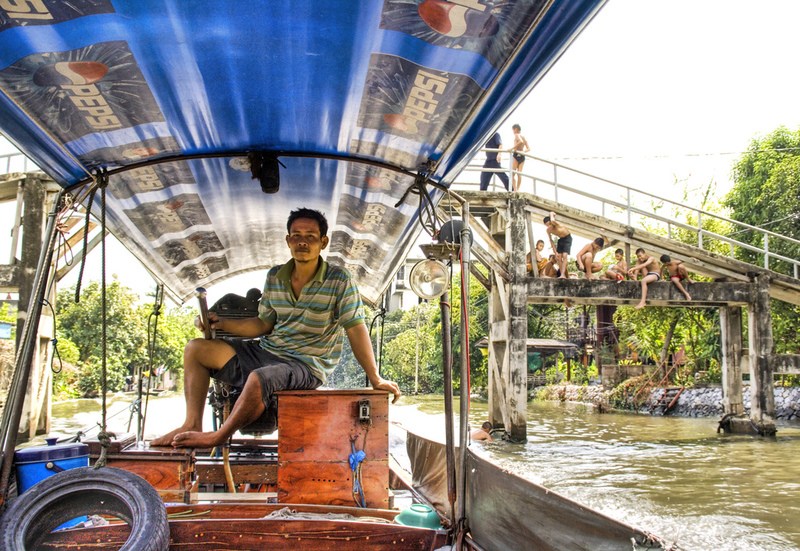 I mean, researching), I came across Trey Ratcliff's blog, Stuck in Customs. Trey was nominated for Best Photography in both the 2007 Bloggies and 2007 Blogger's Choice Awards. That's right, photography. The above picture is a photograph, not a painting. Trey uses an HDR, or "high dynamic range", technique to get that effect. It involves combining several exposures from different apertures or shutter speeds into one shot, allowing the photographer to manipulate the lighting and color to enhance the image. 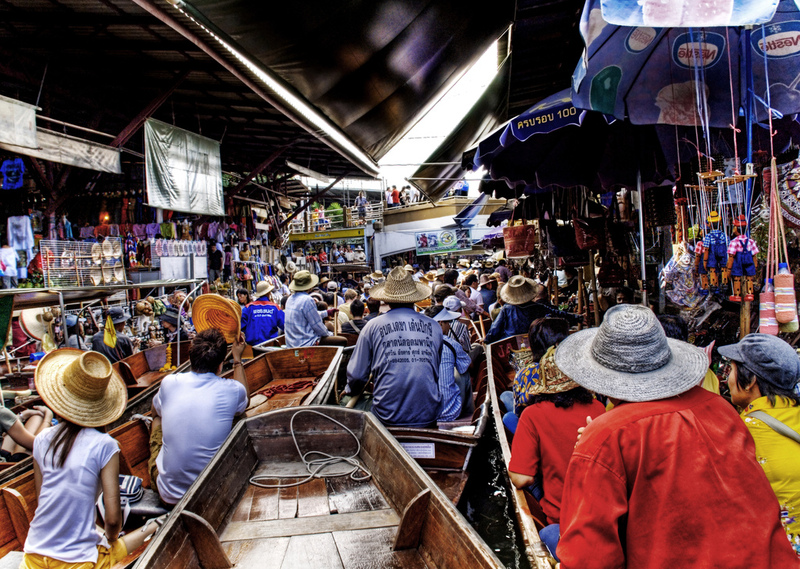 The first picture was taken on a longboat in Thailand, and the one below is from a floating market. You can see even more of his images on flickr. Another neat thing about Trey is he operates under a creative commons license.